Just unmoulded this batch and the smell is gorgeous. 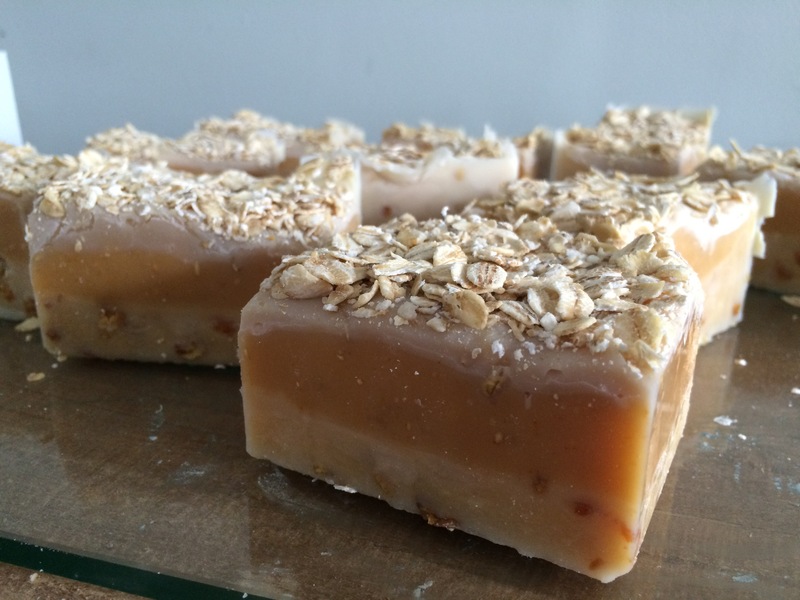 A mixture of oatmeal, milk and honey with benzoin resin has created a lovely marzipan smell to the soap, yum! This entry was tagged artisan, benzoin, cocoabutter, honey, oatmeal, Soap. Bookmark the permalink.